This is a question that we here at Brakes Plus get asked on the telephone multiple times a day. When your brakes begin to make noise you immediately want to know how much it will cost to fix them, understandably so. However that is a really tough question for us or any other place to answer and when calling various places to check prices, please beware! If you were to call Brakes Plus and ask that question, you would be responded to with a question of our own. “Do you know what your brakes need?” If you do not know what you brakes need, it is 100% impossible to give you an estimate that is 100% accurate. There are several different components that make up you brake system, there are mechanical, hydraulic, electronic and friction components that make up the brake system. Different problems of course can cause different symptoms so often times we try to ask as many questions as we can to get a better understanding of what you MIGHT need but we are unable to tell you anything concrete without performing a proper inspection. A common message I like to give people is when your vehicle needs repairs or service, start by having a proper evaluation done by a quality and trustworthy shop. If you do not know what you need, there is no way to know what it will cost, so if someone is not asking you questions and not asking to inspect your vehicle first, they simply do not know what it will cost. With all of that into consideration, if someone tells you the cost prior to inspecting the vehicle then… well maybe you should call somewhere else because that price is likely to change once you have driven all the way there. One final note, brakes and tires are what stop your vehicle, they are the biggest two safety items you will ever service or repair. You and your family trust your lives to the functionality and reliability of brakes and tires. 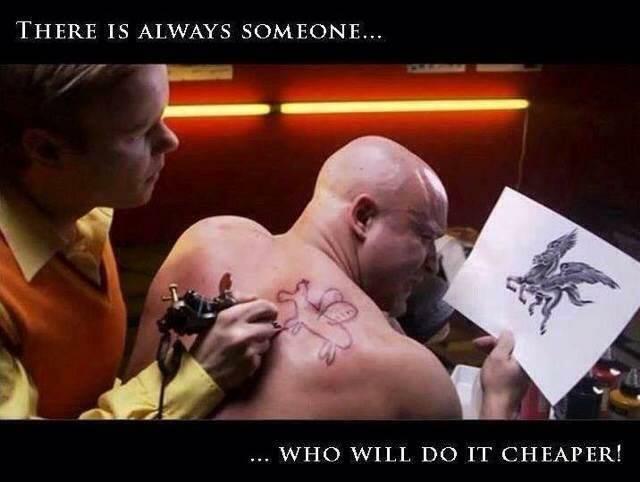 Why would you want to go to the place that quotes you the cheapest price?